In the previous lesson, we have learned how to write code for the TextBox and the Label. 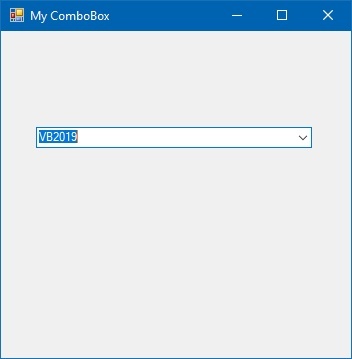 In this lesson, we shall learn how to code for two more controls, the ListBox, and the ComBox. Both controls are used to display a list of items. However, they differ slightly in the way they display the items. 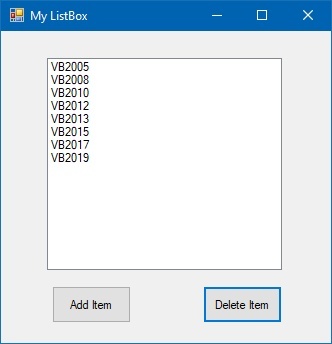 The ListBox displays the items all at once in a text area whilst the ComboBox displays only one item initially and the user needs to click on the handle of the ComboBox to view the items in a drop-down list. 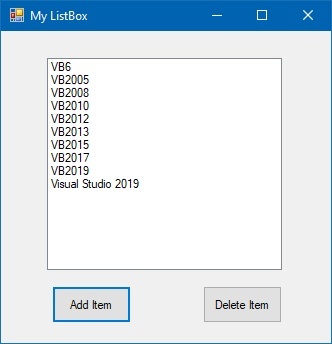 The function of the ListBoxin visual basic 2019 is to display a list of items. The user can click and select the items from the list. Items can be added at design time or at runtime. The items can also be removed at design time and also at runtime. 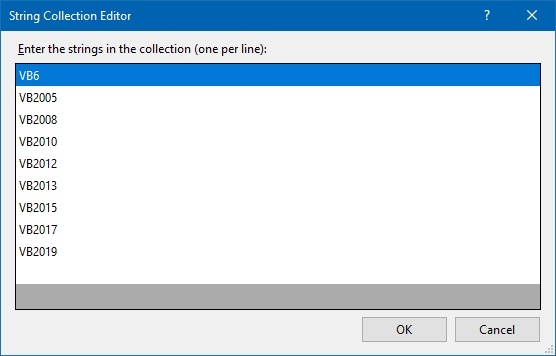 To delete items at design time, simply open the String Collection Editor and delete the items one line at a time or all at once using the Delete key. To clear all the items at once, use the clear method, as illustrated in the following example. 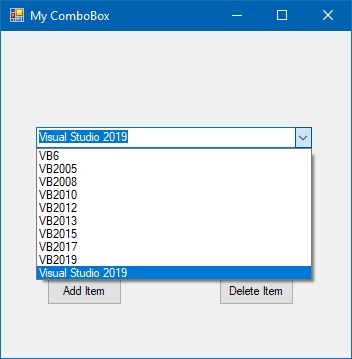 In this example, add a button and label it "Clear Items"
In Visual Basic 2019, the function of the ComboBox is also to present a list of items where the user can click and select the items from the list. 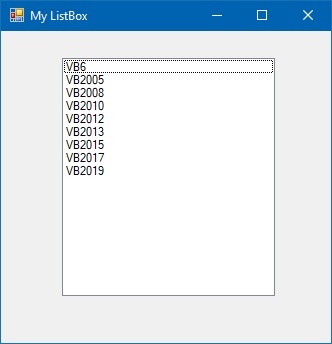 However, the user needs to click on the handle(small arrowhead) on the right of the ComboBox to see the items which are presented in a drop-down list. 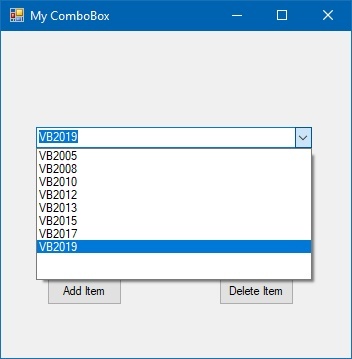 Running the program and clicking on the Delete Item Button will bring up an InputBox where the user can key in the item he or she wants to remove from the ComboBox, as shown in Figure 6.10. 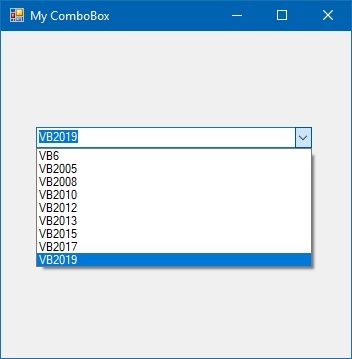 If the user key in VB6, the item will be deleted from the ComboBox, as shown in Figure 6.12.